In a group meeting about dreams, a dreamer dreamed that she “killed an enemy,” only to discover that the enemy was herself. We’ll now work together to learn what the dream symbols mean. Here’s her dream in its original form. In my dream I’m in space and I’m the pilot of a fighter plane—like something out of Star Wars. There’s a battle going on, and I’m on a combat mission chasing after an enemy in another flying vehicle. We’re flying all over the place after each other, shooting at each other, all at incredible speeds. We each sustain damage from the other’s laser fire, but then I score a direct hit and destroy the enemy’s plane. In the next scene I’m surveying the wreckage. There’s debris strewn around, and I see that the enemy pilot is dead. The pilot’s helmet has been ripped off, and as I look closer at the face, I am shocked to discover that the dead pilot is me. Imagine that you are being told this dream during class and you are writing notes so you can remember what the dreamer told you. 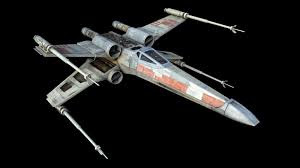 Your list would look something like this: Space, pilot, fighter plane, Star Wars, combat mission, chasing flying enemy, all over the place, shooting, incredible speeds, destroy enemy plane, survey wreckage, debris, pilot dead, helmet ripped off, dead pilot is me. * Space: It’s the totality of physical existence. * Pilot: The one who is in charge of traveling through space. * Fighter plane: It’s a vehicle for war, for searching and destroying. * Star Wars: Futuristic, but with all the same problems we have today. * Combat Mission: Defeat the enemy. * Chasing flying enemy: Going after the main adversary. * All over the place: Not restricted to any zone; covering vast distances. * Shooting: Attempting to destroy. * Incredible speeds: Going too fast to react thoughtfully or with foresight. * Destroy enemy plane: Rendered it useless and made it rubble. * Survey wreckage: Examining the results of my actions. * Debris: Useless, worthless pieces of nothing. * Pilot dead: The enemy in control is now without life. * Helmet ripped off: No longer protected. * Dead pilot is me: I’m shocked because in some weird way, I have killed myself. I don’t know what to think. On Friday, we’ll put this dream back together in its new form. But even reading the dreamer’s remarks above tells a stunning story with a poignant message. Stay tuned!